Drinking lemon water upon waking for detox increases the frequency of urinating, promoting a cleaner, more functional urinary tract. This is because the body disposes of waste materials through the urine. Drinking lemon water naturally flushes out liquid waste at a faster rate. This also reduces the chances of accumulating bacteria throughout the body, staving off illnesses or infections like UTIs. Lemon water contains acids that are exactly the same as the natural juices produced by your stomach. When you ingest fresh lemon juice, you will be able to keep your digestive system on the right track. This also permits foods to go through proper digestion, eliminating bloating, indigestion and heartburn. The digestive system of the body is always at work. It is constantly processing the foods that you eat, eliminating things you don't need, and absorbing what you do need. Drinking lemon water upon waking helps you empty your digestive system and helps it catch up with any digestion that still needs to be done. Detoxing your body doesn’t have to be complicated or expensive. You can help your body work better and stay healthier just by adding a little lemon juice to your water in the morning. Try it for a week and see what the differences are. 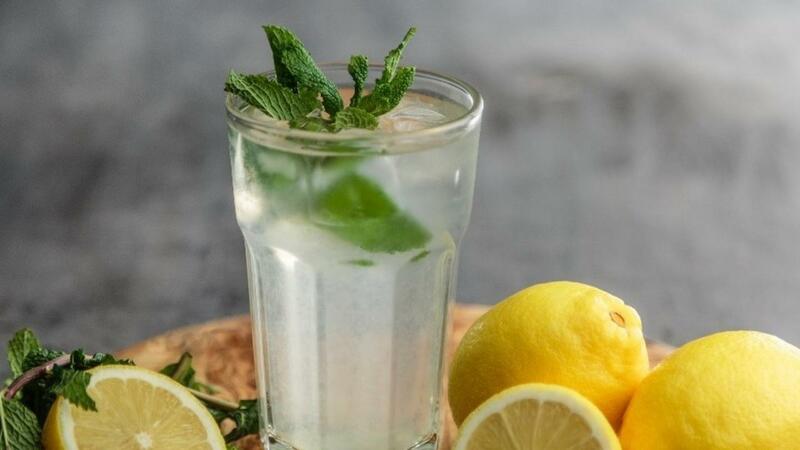 You soon won’t be able to start your day without some fresh lemon water! *NOTE: If you feel nauseous or experience tightness in the chest after drinking the Elixir, please omit the raw apple cider vinegar. This reaction may occur when the body releases bacteria and toxins during detox. Continue to drink the Lemon Water Elixir using only ½ teaspoon of apple cider vinegar OR omit it completely for the next three days. After 3 days is over, try the Elixir again with the full amount of the apple cider vinegar. If the reactions continue, then only drink the lemon water.